Services • One Stop Electric Motor Repair Inc.
One Stop Electric Motor Repair Inc.
One Stop Electric Motor Repair is a full service shop. 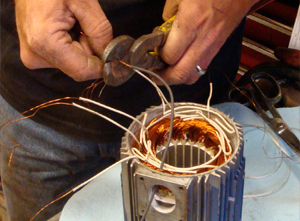 We specialize in electric motor rewinding, repairs, re-wiring, motor testing, and balancing. If there is anything you need that you don't see please call us today. One Stop understands the importance of providing high quality repairs at a fast turnaround time. They have helped us in many cases by doing overnight and weekend repairs when time was crucial to our customer." We are capable of handling many different types and sizes of motors that can be very expensive to purchase. Not only do we repair the obvious damage, we perform tests to determine possible future failures. 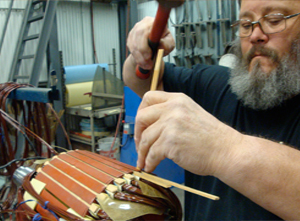 All of our technicians are trained to rewind motors. We only use the highest quality material for our rewinding process. 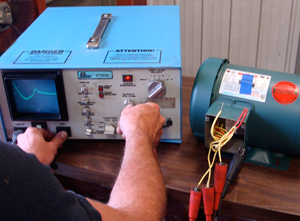 Rewinding is most cost effective if you have a burnt winding or if your winding no longer exists. Just like One Stop’s in-house services, we provide the same services on-site. 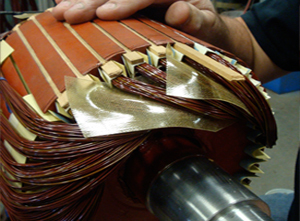 We focus on preventive and predictive electric motor maintenance. It doesn’t matter if your facility is industrial or a commercial, One Stop can make a proper analysis of the issue and then make repairs. If needed we can also take the motor back to our shop and do further testing. If you have any questions on what more we can do for our on-site services give us a call. © 2019 One Stop Motor Repair. All rights reserved.